At the top of the Du Toits Kloof pass for the second days shooting. Bikes off loaded at the top of Du Toits Kloof Pass. Bikes loaded up and ready for transport back to Cape Town. Loaded up and ready for the trip back to Cape Town. 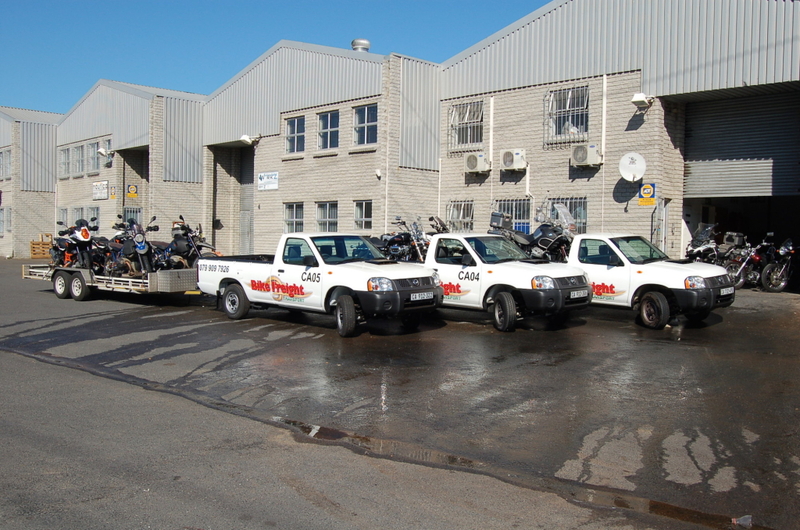 We transport all makes and types of motorcycles all over SA, Namibia, Botswana and Zambia door to door. Our trucks leave Cape Town around mid week depending on the load and the route. Travelling up the Garden Route to East London with stops on the way in all the major centres. Then either up to Bloemfontein or Durban then onto Johannesburg. We normally spend two days in JHB delivering and collecting stock then head back to Durban and the Garden Route back to Cape Town. Cross border trips are special trips specific to the that client. This ensures no issues at the border and customs etc and the bikes arrive and or are collected exactly as the client request’s.